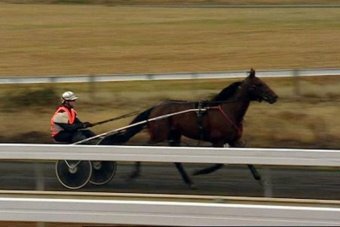 Australia will become the first country in the world to voluntarily ban the use of whips in harness racing. 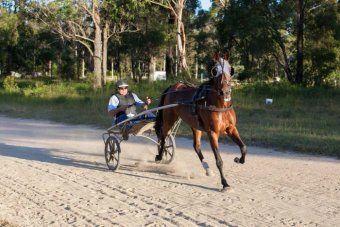 Harness Racing Australia (HRA) announced today it would ban the use of whips in both racing and training from September 1 next year in response to animal welfare concerns. In a statement, HRA said the move "improves the industry's image and enhances its sustainability". "The decision sets the pace in animal welfare and for the long-term support and sustainability of the industry. It aligns with high expectations of the community, fans, and industry participants in harness racing," the statement said. HRA chairman Geoff Want said the industry had been moving towards the ban for six years by limiting its use. "Undoubtedly, some people may resist change, or feel the decision limits competitiveness in harness racing. We are confident they will be proved wrong and will eventually see the merit of banning the whip," he said. "We know some drivers are concerned about safety issues, but we feel the process of developing a tool to maintain safety will allay concerns. "There is ample evidence the whip is not needed in our industry and that its use to enhance racing performance is questionable. "If no driver uses a whip then no driver has a perceived advantage, each race will be conducted on a level playing field, have a fair winner and horse welfare will be enhanced". According to the HRA, the industry employs 19,000 people nationally and $113 million is spent annually breeding the horses. "We are confident that wagering turnover will not be impacted and indeed a number of professional punters have indicated support for the ban," Mr Want said. The HRA said it would undertake research to ensure safety when drivers do not have a whip to control unexpected horse movements. "Between now and the implementation of the whip ban, we will consult widely in the industry, especially with drivers and trainers, and with animal welfare advocates, such as the RSPCA," Mr Want said. "Whatever tool evolves from this process, it will only be allowed to avoid or guide a horse out of a dangerous situation to itself, other horses, drivers or anyone nearby. "It will definitely be banned from use to urge a horse to better perform, and strict penalties will apply for any breaches of its use." RSPCA Australia chief executive Heather Neil welcomed the ban. "As Harness Racing Australia has recognised, racing should celebrate quality horsemanship, breeding and training — whips shouldn't come into it," she said. I've been to the trots and some of those mean drivers yell "Yahhhhhhhhhhhh !!!!!" at their horses as well ...... that will be next. Interesting though that it is the industry itself imposing this ban. Although I tend to agree with Lance Justice I think his name is who has said it should be a gradual implementation starting with next seasons 2yos and as they age the rule follows. Ban it straight up. Gallops too.